The Business Development Corporation (BDC) is proud to announce the new appointment of Elizabeth (Beth) Wittling as President and COO, effective July 1st of 2018. Beth has been with the BDC since 2005 and formerly served as Vice President, Operations Manager and Senior Loan Closing Officer. 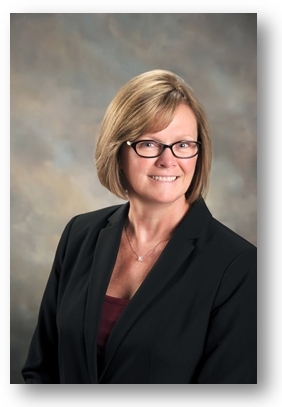 She also brings over 20 years of banking experience (Retail Banker, Business Banking Associate) and is a graduate of the South Bend Chamber of Commerce Leadership Program. Her extensive knowledge of SBA 504 lending and unwavering work ethic throughout her professional career has served as a model for her colleagues and industry partners. This marks an exciting new chapter for the BDC, its lending partners and small business owners throughout the region. For over 30 years, Business Development Corporation has been committed to entrepreneurs, small businesses and other companies willing to build and grow in Indiana and Southwestern Michigan. Its primary method of assistance is through the Small Business Administration (SBA) 504 Loan Program. This national financing program recognizes the contributions of expanding small- and medium-sized businesses toward job growth in the United States. The organization has created over 6,000 employment opportunities throughout its history.